During my summer break of 2018, I followed the youth program in Korea, Seoul. I certainly had the best time of my life those two weeks. The program was organized perfectly, my homestay family was amazing and the activities we had were super interesting and fun. But most of all, I made new friends, with the same ambitions, from all over the world and we had such a great time together! The GoGoHanguk staff was amazing aswell! They offered help and guidance, whenever we needed! I would totally recommend this to everyone who is interested in Korean culture. I definitely had the time of my life! With Studytrip, I was able to take part in the 3 week summer course in South Korea. Hands down the best decision I have ever made and I'm not a decisive person! The whole trip was so organised, even to every detail of the location of the meeting place for an activity, to the directions of how to get to the meeting place (thank you Go! Go! Hanguk staff: Eddy, Nathan and Okju). Studying Korean in the mornings of weekdays at Lexis Korea helped tie everything together, learn Korean in the morning, explore and use it in the afternoon! The whole experience has definitely inspired me to want to learn more Korean, so I'm sure it won't be too long until I go back. I really wanted to move to Japan, but I was too nervous about making a long term commitment. Thanks to Studytrips, I was able to do a 3 week trip and experience everything I was wanting to experience in Japan. If I didn’t think I could live in Japan, this trip allowed me to experience my Japnese bucketlist and was the perfect trip! However, I was able to make the decision that I do want to stay in Japan for a longer period. 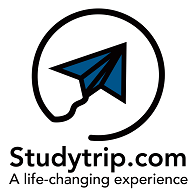 I am so grateful that Studytrips was able to give me a test run and give me the confidence to chase my dream! I went to Tokyo, Japan for the 2018 summer course and it was the best experience of my life, I met people from all over the world all super nice and sharing the same interest in the land of the rising sun, the activities were great and super fun with everyone. The school and dormitory were awesome. In short, if you want an unforgettable experience, it should be done without moderation! I was lucky enough to be part of the Summer Youth Study Group in Seoul, South Korea; and had the best two weeks of my life! At first, I was a little scared, since I was traveling to another country alone for the first time, but as soon as I met the amazing staff of GoGoHanguk, I was totally at ease. From my host family, to the exciting excursions, to my language classes; every second of my time in Korea was amazing. Not only was the program packed full of fun, but I met so many amazing people that I will never forget. I highly recommend this program to absolutely anyone, whether you are a kpop fan, or just someone studying the language - I promise you will love it! Going to Korea through study trip was the best experience I’ve had in my life. I learned so much and had such a great time. I would highly recommend it. Studytrip.com’s most important value is that our customer comes first. We created these trips so that our clients can have a unique point of view, when it comes to immersing themselves in a new culture. Most of our staff have been in the exact same position at one point in time, having to make the same decisions on short or Long - term language travel. This means they are the perfect people to help guide clients to the right trip and give expert and personal advice on topics, that clients might not have thought about previously. We work with clients in various languages, where possible, we offer services in English, Spanish, French, Portuguese, German, Swedish, Korean and Japanese. Being able to offer this support gives a sense of comfort and familiarity throughout the process. Our trips are made to focus on language and cultural activities. The classes during the day are intense enough to feel that you are learning or brushing up on your language skills and the activities are fun and engaging, showcasing a balance between traditional and modern. But best of all, travellers will also have the freedom to explore on their own, which is especially nice for those who want to do something which is not included in the planned itinerary. We offer package 3 categories, Bronze, Silver and Gold. The only difference between the categories, is the number of activities included, Bronze being the least activity rich option and Gold, which is a full immersion into the culture. Language classes will be the same no matter which the package is chosen, as will the accommodation, unless there are special preferences.